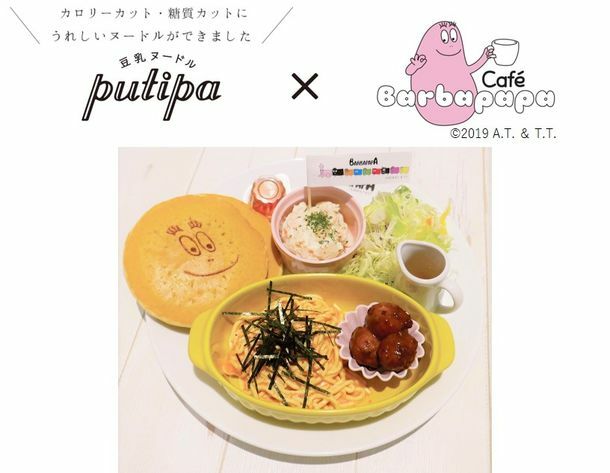 Cafe Barbapapa, based on the popular French character Barbapapa, released its new “Healthy Soy Milk Noodle & Pancake Plate” on February 25, 2019. The lunch meal is served with zero-sugar gluten free noodles made with soy milk, konjac and soy pulp. It’s a healthier option when compared to pasta and boasts and exquisite flavour. It’s drizzled in a walleye pollack sauce and served with meatballs made from soybean. Be sure to try this cute and healthy new dish.